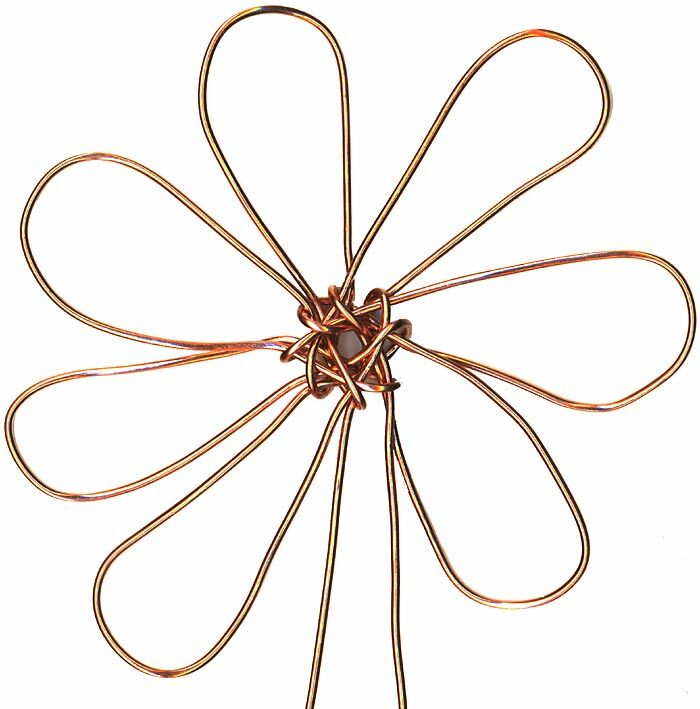 Since I can pretty much tie flower knots in my sleep, plus their interlacement points are minimal (compared to, say, the bao knot or the mystic knot) they were a no brainer for a quick experiment in wire. 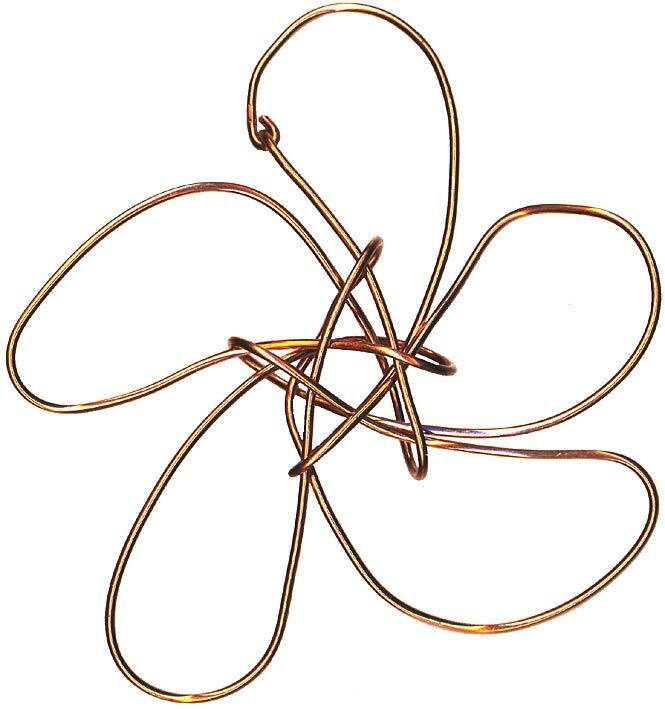 Obviously, I started with the 3 petal flower first shown in Wire Basics done with a pre-tied cord knot as a template. Why, you might wonder, would such a simple knot need a template? Couldn't you freehand it? The answer is: maybe. 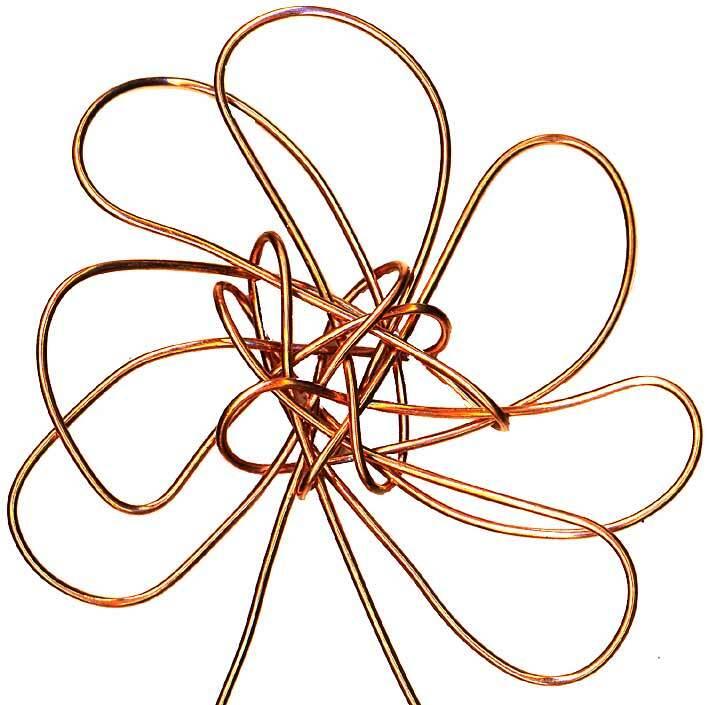 The problem is that wire is very springy and requires at least 2 hands to bend in a controlled way. It's just much easier to do with a template. Perhaps with experience and repetition you may no longer need a template, but to start... The ends were just slighly overlapped and left. They seem happy to stay that way. Next up, the 5 petal flower (right). Standard cord style with an overlap of 2. Painless with reasonable results (the ears could be more uniform, the middle structural loop got a little mauled in the making...). I even put some effort into finishing the ends by making a clasped loop/eye arrangement. So, I got cocky and went straight for the 8 petal flower, done in the standard cord style with an overlap of 3. The results are instructive. 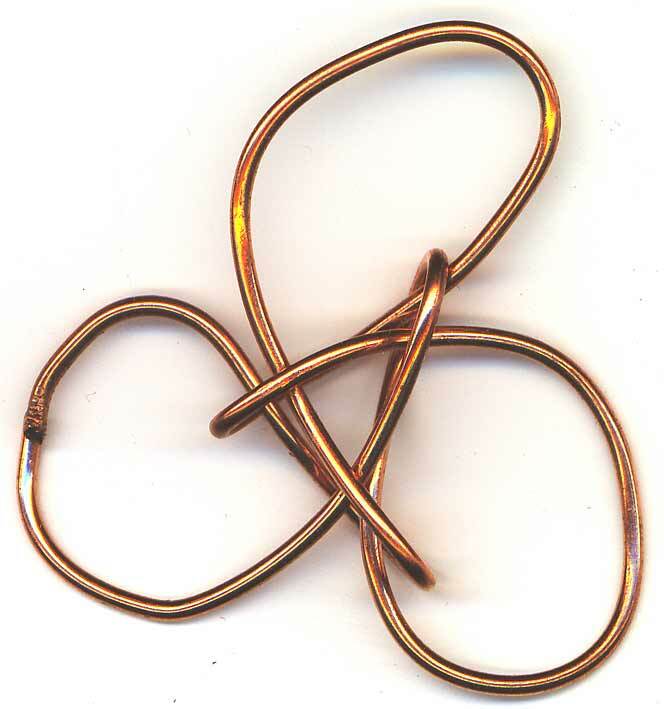 The image on the left is of the knot just after template removal. Those springy wires have a mind of their own! Despite the usual mangling to little benefit that previous attempts to treat wire like cord have produced, I decided to try again and was pleasantly surprised (see right). Perhaps because I was tightening by hand vs with pliers (although I did use pliers to help the structural loops to stay straight up and down) no extra kinks or obvious blemishes introduced by the procedure.